Attracting big money from both sides, a carbon fee proposal in Washington state is shaping up to be the most expensive initiative campaign in the state’s history. The fight over Initiative 1631 — a carbon pricing proposal that would, if passed, charge a fee on large emitters of carbon — has so far drawn $45 million from both supporters and opponents. Backers of the initiative have given $15 million. Opponents of the measure, however, have dropped nearly $30 million to kill it. The campaign is set to become Washington state’s costliest ballot initiate fight in history. Its fate could also set the tone for a carbon tax battle in Washington, D.C.
Initiative 1631 would impose a tax of $15 per metric ton of carbon beginning in January 2020. This fee would increase incrementally each year by $2 per metric ton until Washington’s greenhouse gas reduction targets of 2035 are met and if it appears that their 2050 reduction targets will also be met. The carbon fee is expected to rake in around $1 billion a year in state revenue — to be spent on various environmental programs and causes. However, car owners would be subjected to a 14-cent hike on the price of a gallon of gasoline. The price increase would come at a time when the cost of gasoline is already expected to rise. If passed, Washington would become the first state in U.S. history to impose a fee on carbon emissions. 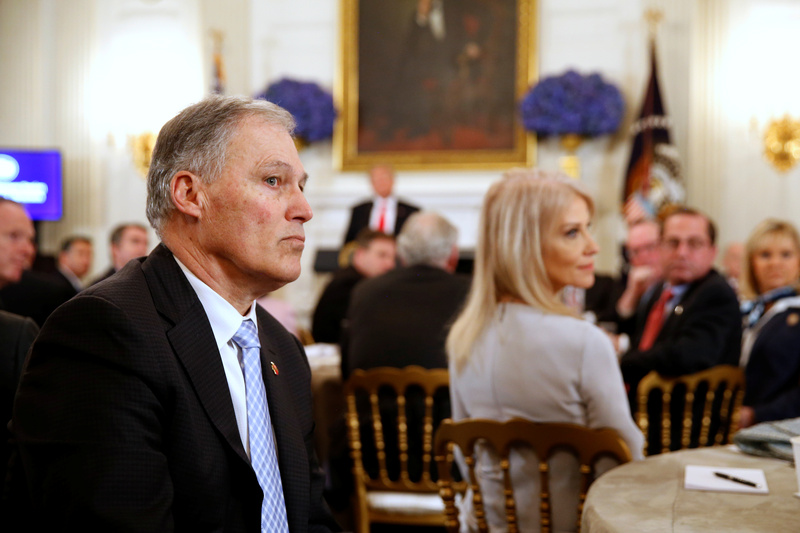 The effort to pass a carbon pricing initiative by way of voter referendum comes after Washington’s state legislature — which is controlled by the Democratic Party — failed to garner enough votes to pass a carbon fee bill.